This is a high power beast of a bicycle that is designed to be ridden on sand, snow and trails. It’s strictly for off-road use as it has an over the top 1000 Watt electric motor. It’s the new BAFANG mid-drive Ultra torque sensing motor that is mounted within the crank. It has 4 inch tyres, suspension forks, hydraulic disc brakes, a long-range 48V 17.5Ah lithium ion battery mounted on the down-tube and a SHIMANO Alivio 9 speed gear system. 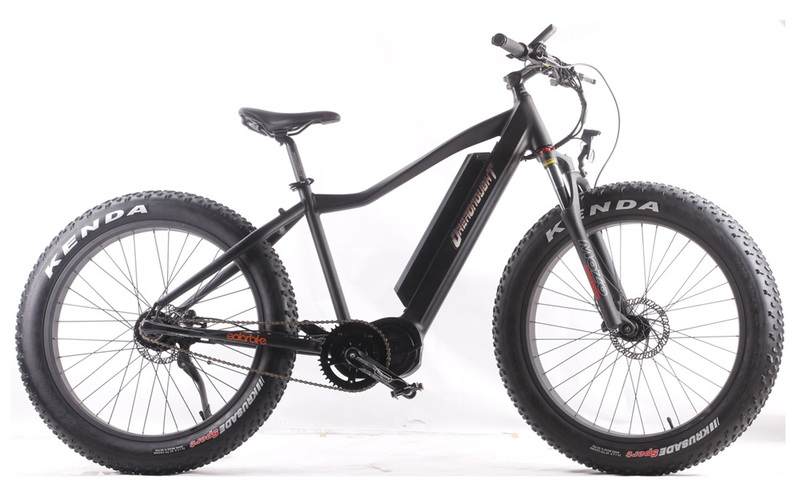 This is one of the most complete electric FAT BIKES available for high power long distance riding.